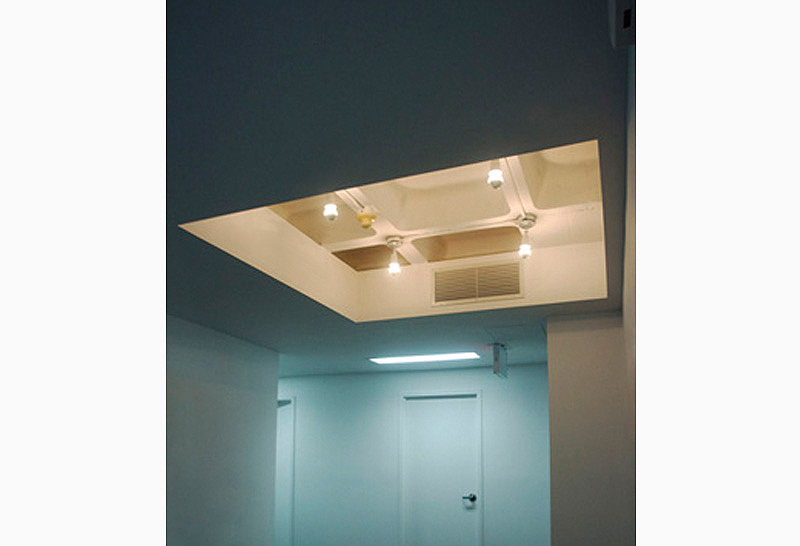 This 2,800 square foot space is used by the New York Filmmakers Cooperative for the distribution and storage of experimental and independent films. It’s non-profit status necessitated an economical design and a refrigerated film storage room already took a large part of the budget. An opportunity occurred when a concrete waffle slab was discovered above. The concept then was to play compositional games with the waffle slab grid using it to align walls or to reveal it sparingly through ceiling cut outs. All lighting, doors and hardware were industrial grade . 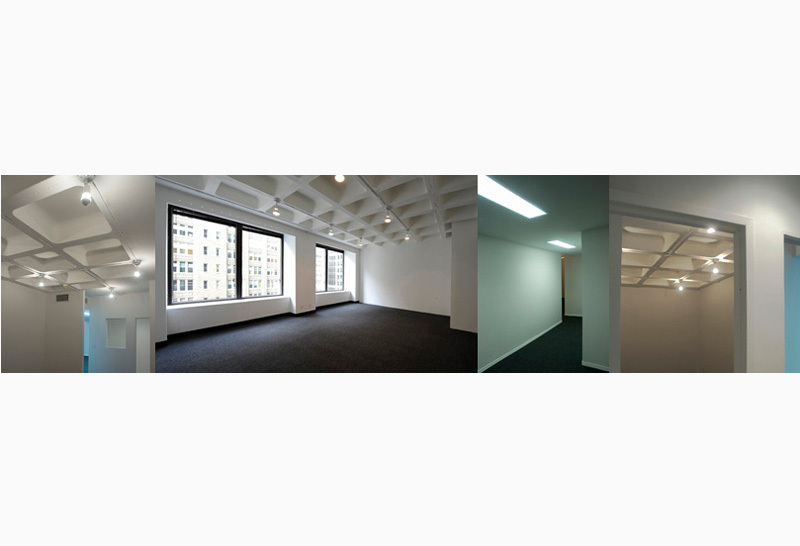 The space also includes a small theater as well as administrative offices.